2 by 3 Heroes: Sunday SIL: Other collections, I have. Yes. There, I said it. For those that have emailed me, or follow me on Twitter, this is pretty much a no brainer. If you can't figure out how much I like the trilogies (yes, I pluraled that), then you really need to visit a doctor for an examination. For a rough guess, I have seen A New Hope at least 60 times. Maybe more. 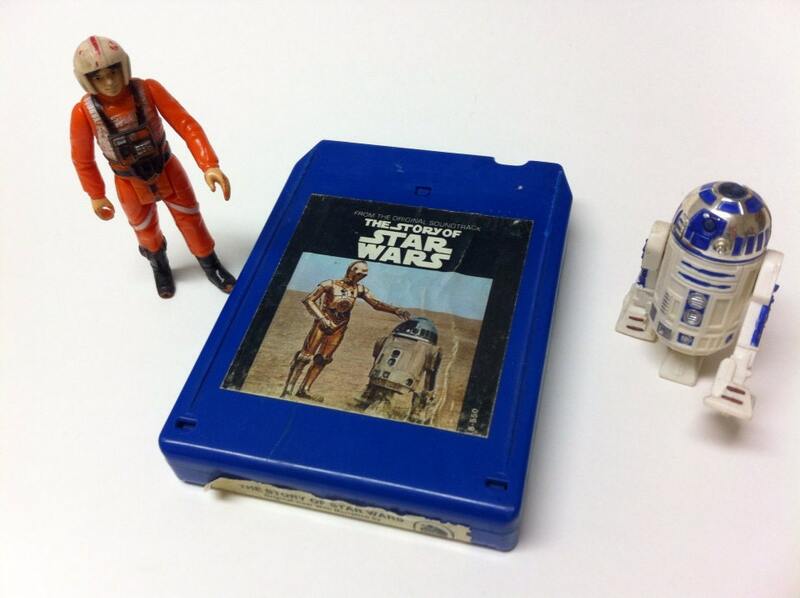 However, I used to have the story on 8-track which I listened to nightly for years. If you factor that in, I have easily "seen" the movie over a 1000 times. I collected the toys in the early 80's, and again when Hasbro started rereleasing them in the late 90's. I have a Star Wars tattoo on my left arm. 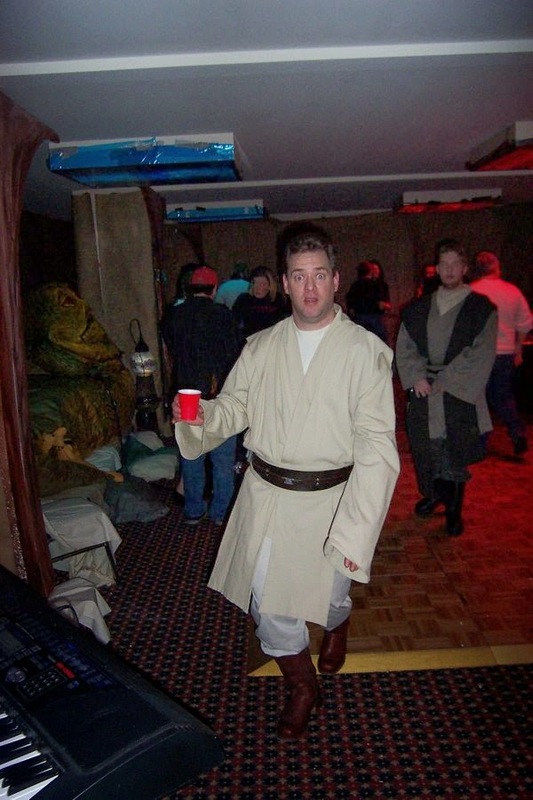 And while I am not an official member of either the 501st or the Rebel Legion, I do Jedi up when the need arises. The isn't the vodka you are looking for. I have purchased a few cards from recent Topps releases. Of the original 5 sets (blue, red, yellow, green and orange), I think I am a couple cards short on blue, yellow and red are complete and I didn't buy a lot of green and orange. 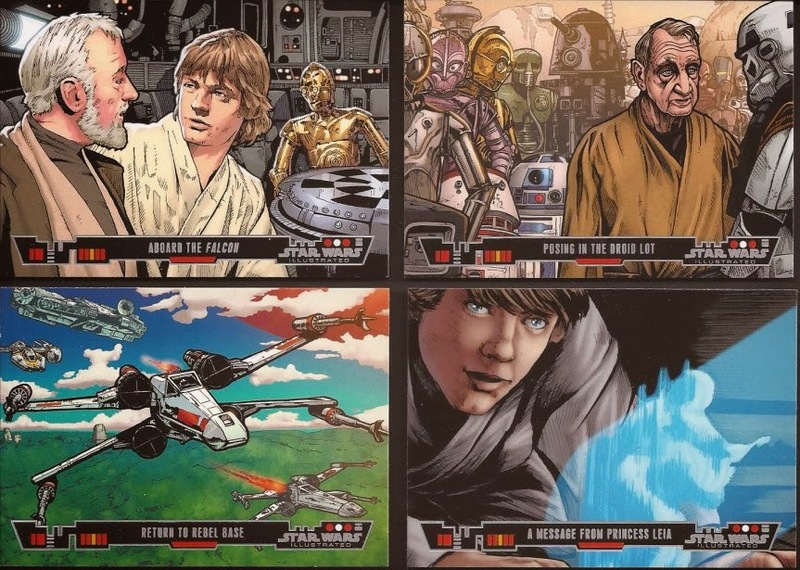 I plan to pick up a box of Jedi Legacy some day, and I have been putting together the most recent release, Star Wars Illustrated. It is in that for this post. I caught site in the blogroll of Paul from Random Baseball Stuff concerning his wants for the set. I had enough doubles that needed to not sit on my desk. Thankfully, Paul had enough that he didn't want on his desk either, so a quick exchange of mailing addresses and we both we able to erase numbers off our want lists. Technically, Paul sent me two packages. These three were in the first. If you said "man, that card on the right is so dark I bet it's foil", you win. Pat yourself on the back. Cards from package #2. All the base cards are horizontal, which works well. These are inserts. 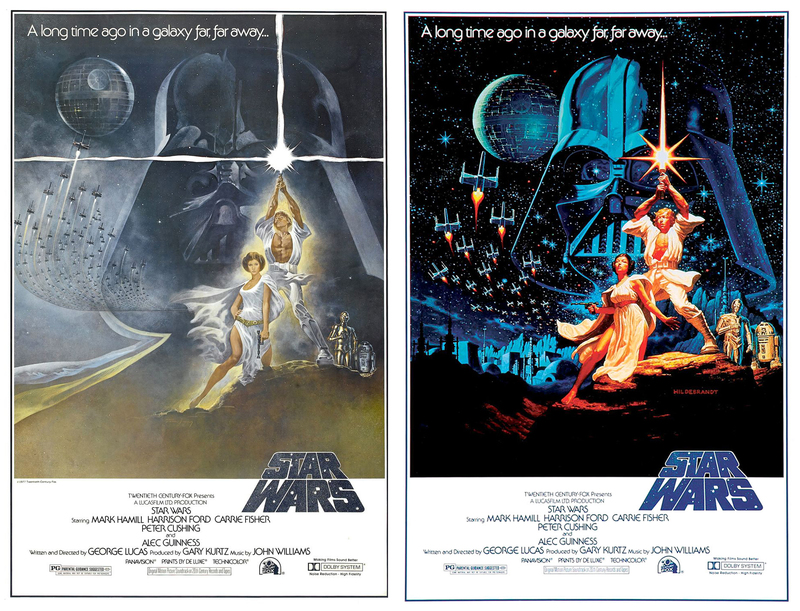 The two on the left are reimagining the iconic original poster. The last is an 18 card set called One Year Earlier. Just surmises the lives of people one year before the events of ANH. Paul didn't stop with SW cards, though. 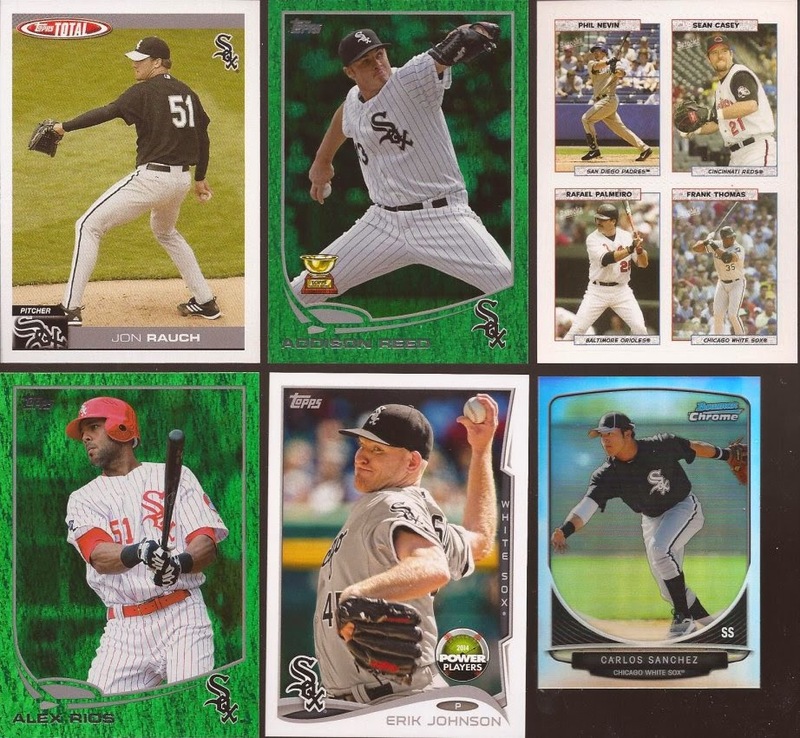 Good bunch of ChiSox for numerous years. That Bazooka sticker rocks. I know quite a few collect pocket schedules. I always pick some up when I see them locally, just cuz, and when on vacation, cuz they make great cheap souvenirs. If anyone is looking for a Chicago area pocket schedule, send me an email. I'll keep an eye out for any I can find and get them to you. So thanks again, Paul. Best of luck completing your set......and I don't know, fly casual. 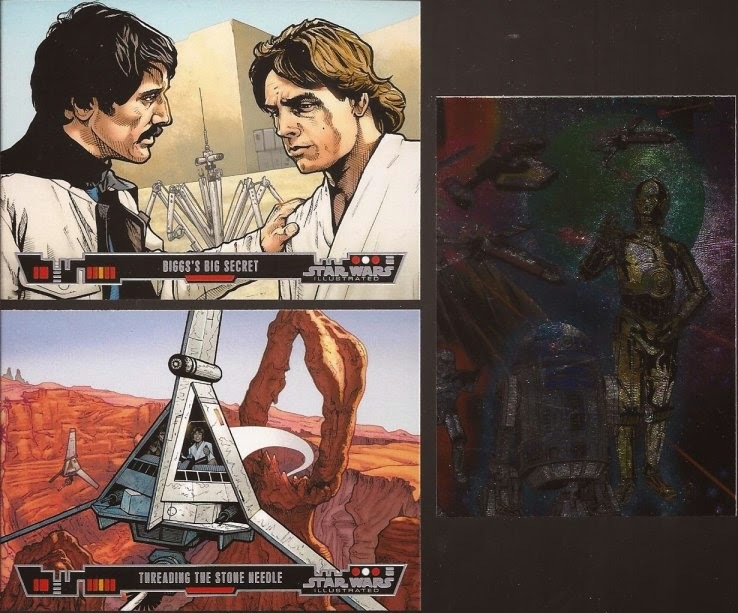 Did you ever get a set of the Star Wars Galaxy cards? If not e-mail me, and I can hook you up with one if your interested. I've seen "A New Hope" numerous times as well...though not as much as you.